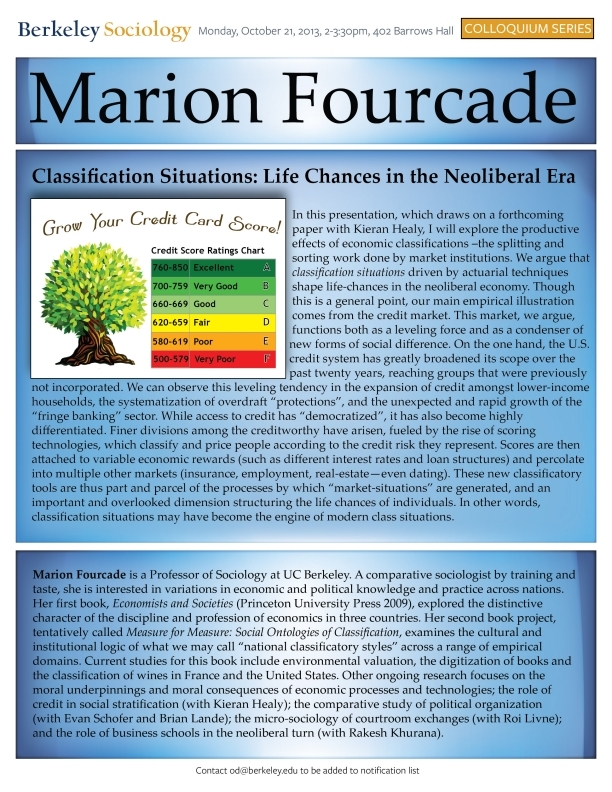 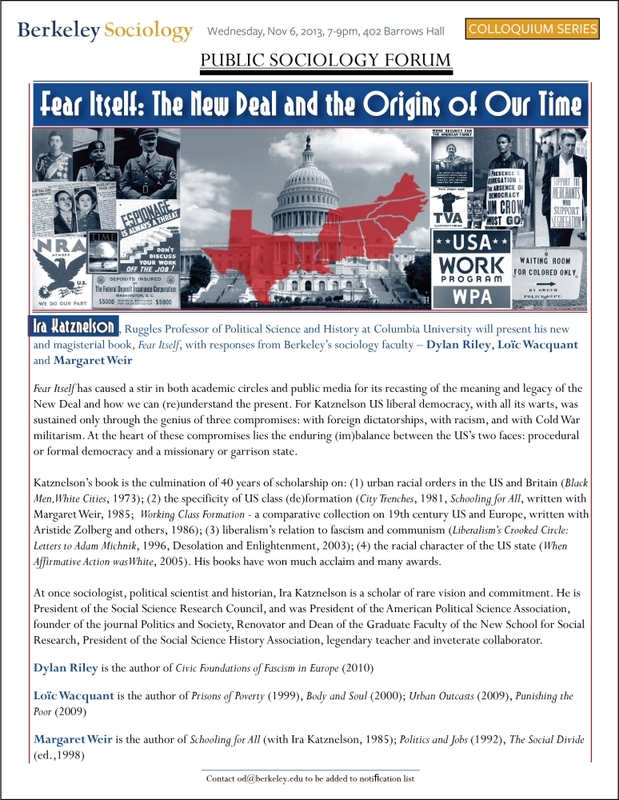 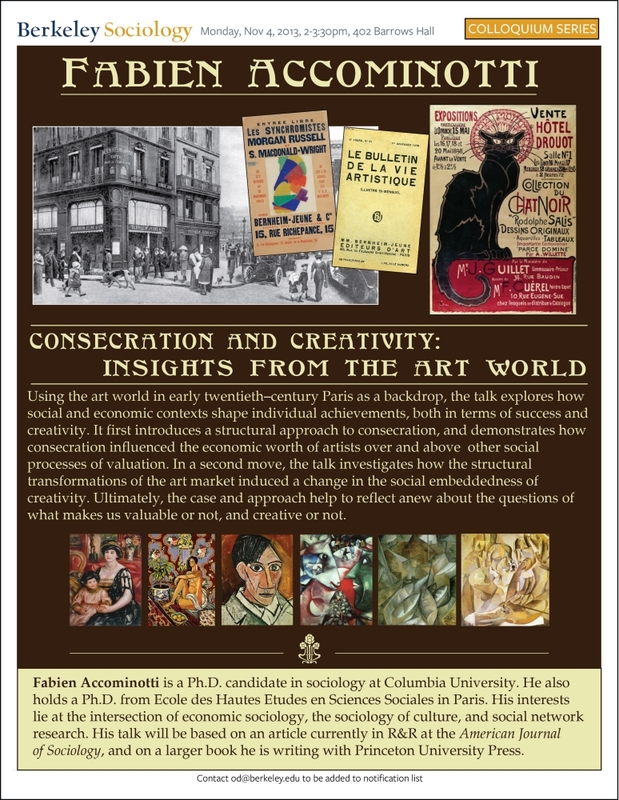 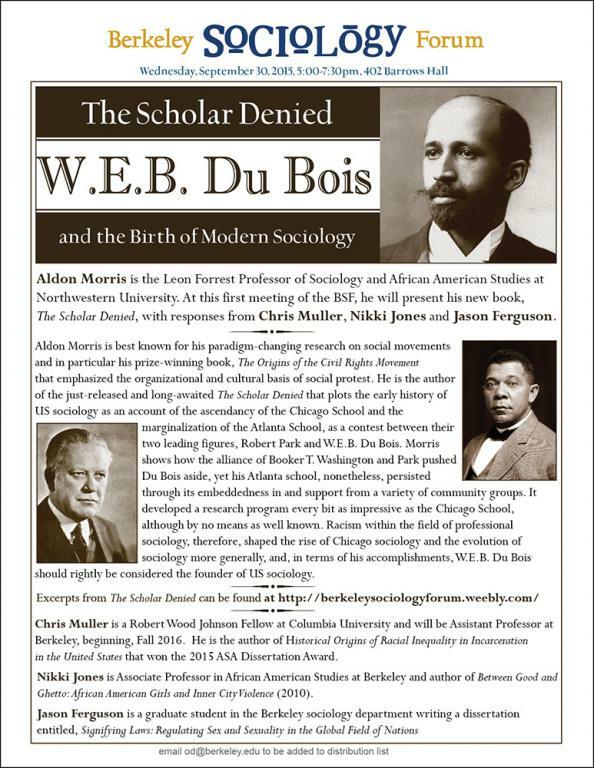 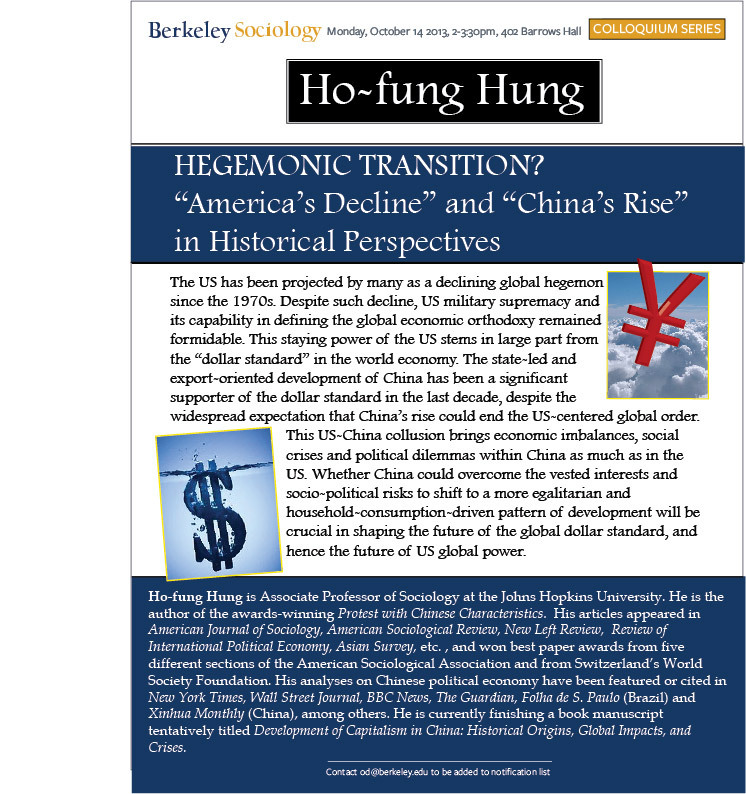 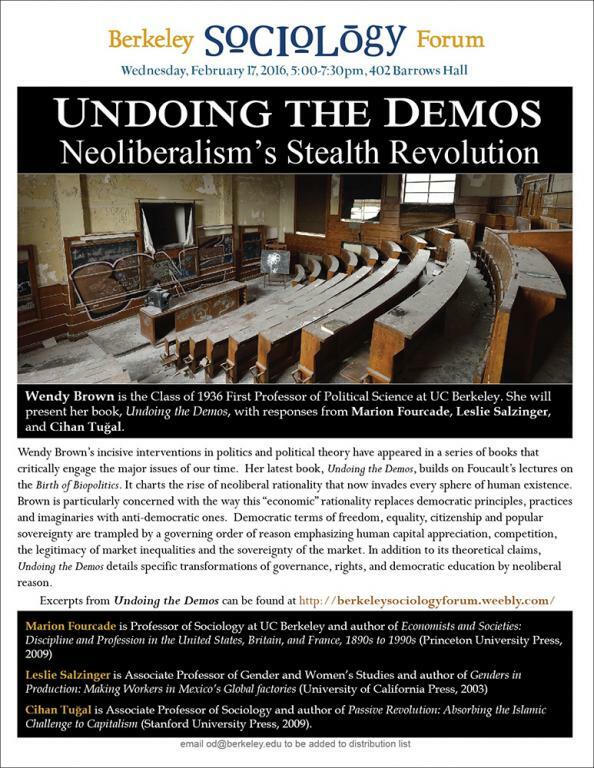 PUBLIC SOCIOLOGY FORUM, 7-9p.m., November 6, Barrows 402. 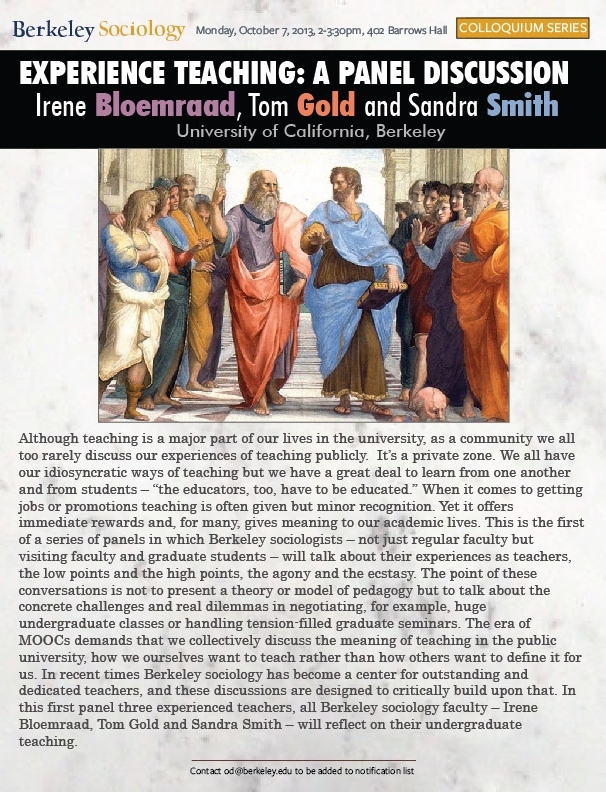 Irene Bloemraad, Tom Gold and Sandra Smith, University of California, Berkeley. 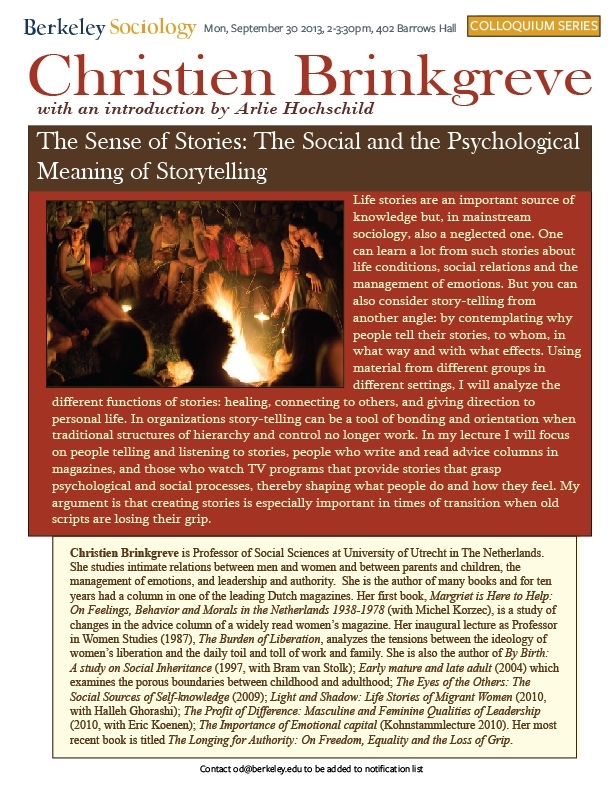 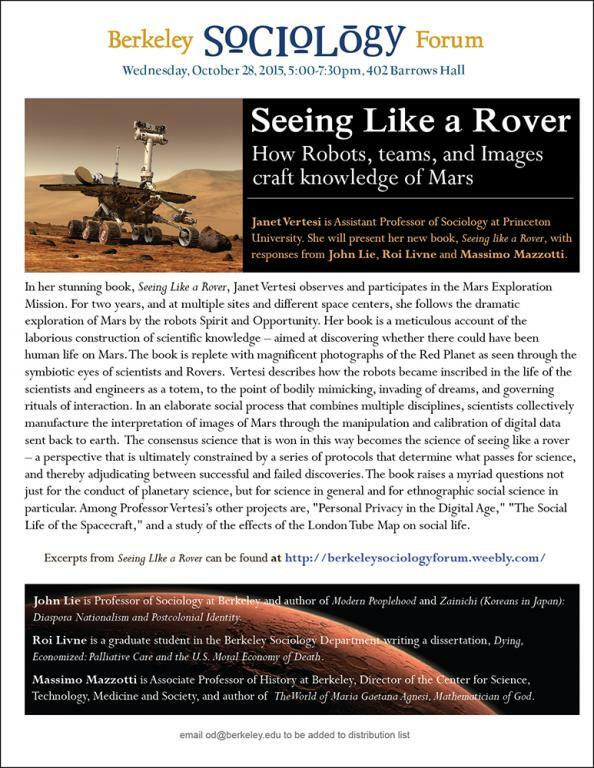 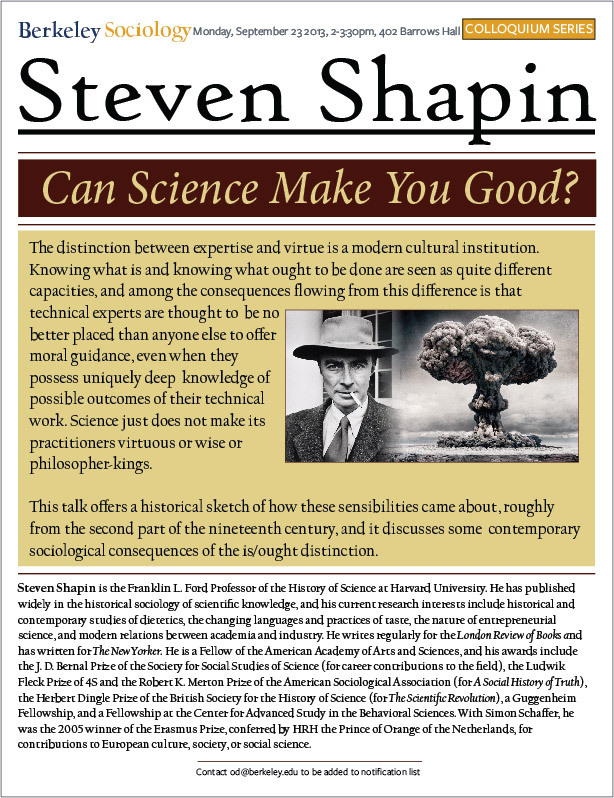 Christien Brinkgreve: "The Sense of Stories: The Social and the Psychological Meaning of Storytelling"
Steven Shapin: "Can Science Make You Good?" 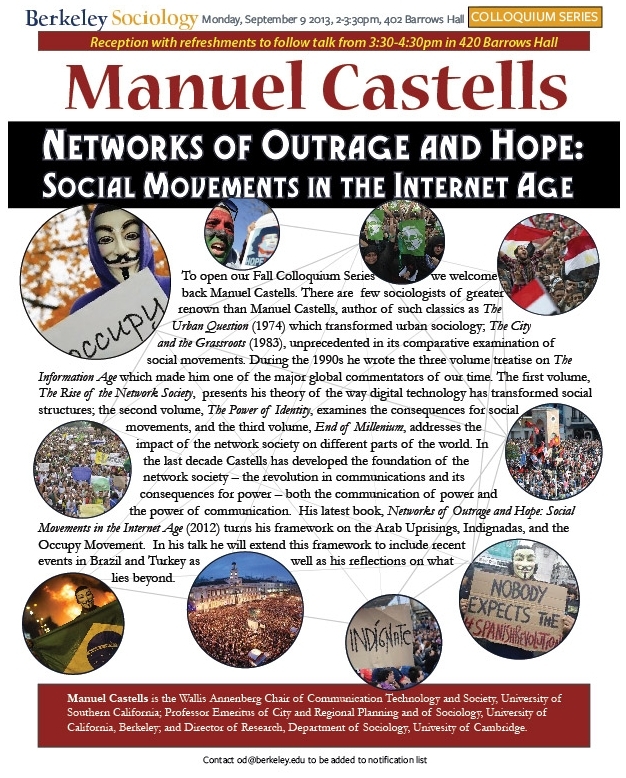 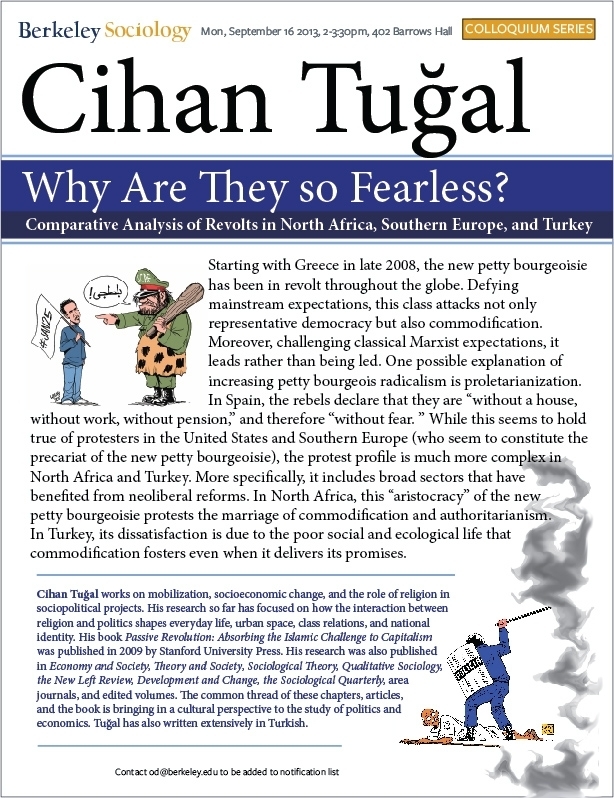 Cihan Tugal: "Why Are They so Fearless: Comparative Analysis of Revolts in North Africa, Southern Europe, and Turkey"
Manuel Castells: "Networks of Outrage and Hope: Social Movements in the Internet Age."